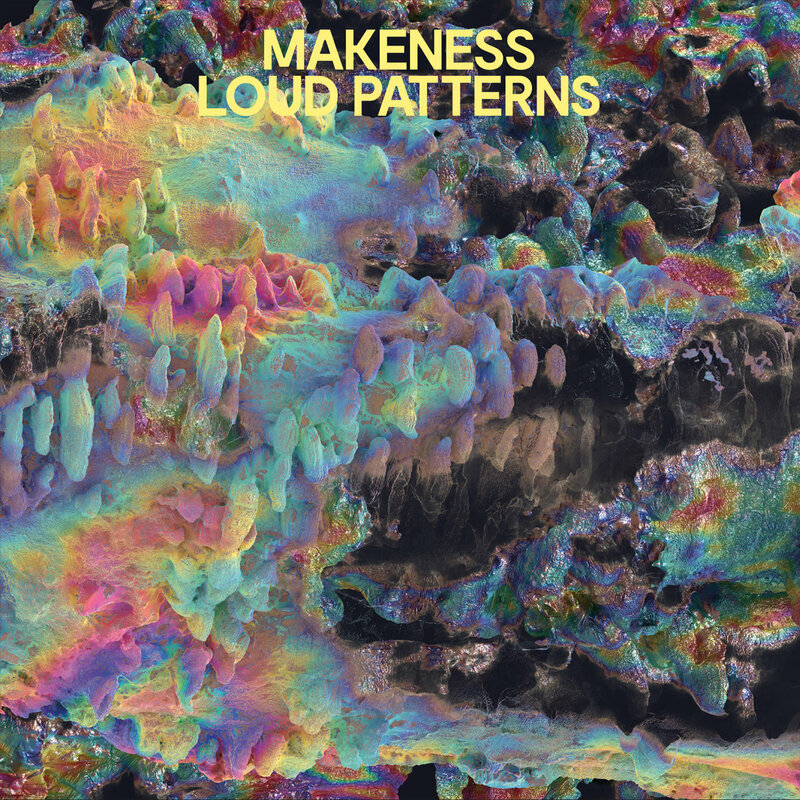 Makeness has just announced his debut album Loud Patterns, dropping April 6th via Secretly Canadian! Crafting tracks which make a virtue of disparate influences, Kyle Molleson manages to pull off something difficult. 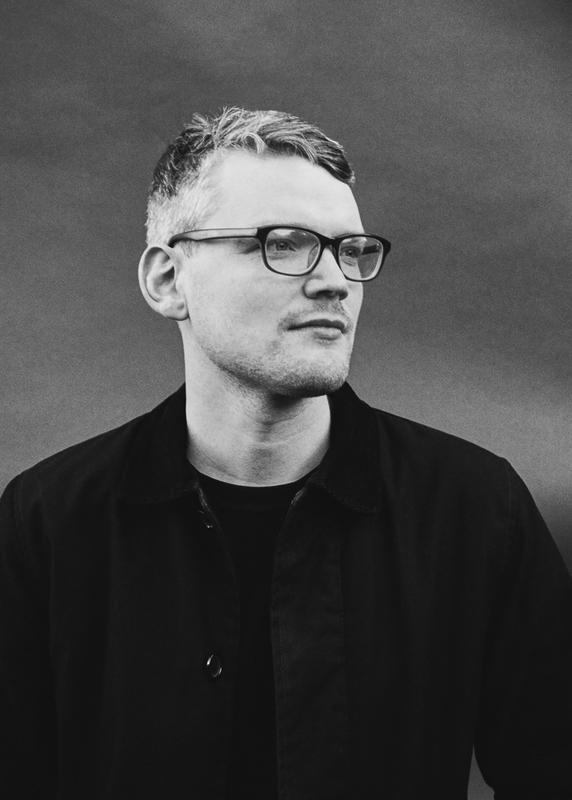 He creates songs which have been tirelessly worked on, although sounding loose-limbed and to-the-point. Loud Patterns is noticeably indebted to house and techno as there are 4/4-rhythms and a no-nonsense directness that harks back to the Detroit pioneers from the olden days. Channeling avant-garde experimentalism and an outsider’s interest in pop, he embraces the distance between those two poles. Loud Patterns will definitely pave the way for a bright future! As you have been growing up in the Outer Hebrides in Western Scotland, how much did that affect your musical approach and your producing habits? I moved around quite a lot when I was growing up. I lived on the Isle of Harris until I was about 11 years old which was an amazing experience looking back. There were ten people in my school and the playground was literally on the beach. My mum then moved with me and my sister to South West England to do her art teacher training. My family members are all very musical, my grandad is a piper and my dad and his brothers are quite involved in folk music in Scotland. My dad used to be in a band called the Peatbog Faeries while I was growing up which was a heady mix of bagpipes, fiddles and dance music. Having been surrounded by a lot of folk music has definitely had an effect on the way I write melody and harmony. Rogue has been your first EP which has found a home at Handsome Dad Records as their third release. How was that connection made and why did you choose a rather small label at that time? I was in a band called Fun Adults (later Glad Hand) and Handsome Dad had put out a 7″ single of ours. 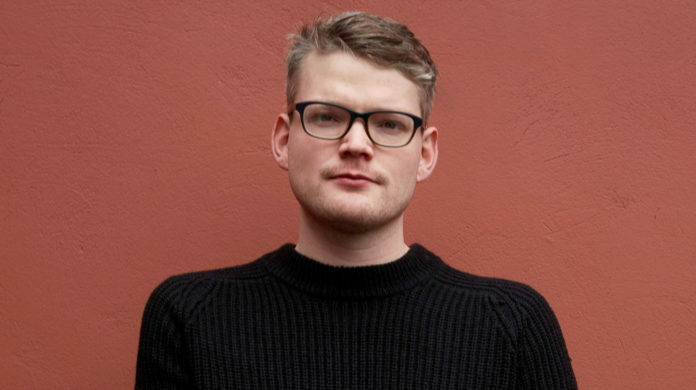 We kept in touch and when I started Makeness, Sam and Will at the label were really supportive and helped me with putting the first EP out. Your song ‘Other Life’ together with Adult Jazz contained disco influences and sounded trendier than your new releases. ‘Loud Patterns’ and ‘Day Old Death’ at Secretly Canadian are darker and have an industrial feel due to the raw drums and crunchy synthesizers. Is versatility an issue for you? The idea with ‘Other Life’ was to make a pop song. Harry (from Adult Jazz) and I share a love for songs like ‘Rip It Up’ by Orange Juice and ‘Go Bang’ by Dinasaur L and we wanted to make something funny and uplifting. My influences are quite wide ranging and on Loud Patterns specifically I wanted to create a pretty heavy, industrial soundscape while still weaving a song in there. I also have recently discovered how good it sounds when I put a lot of files through a distortion pedal at the same time! I do not really listen to music in relation to its labeled genre and as such I do not think you ever have to stick to creating music within one type of sound. What has been the main setup during your producing process and are there any key elements you would like to point out? I am always experimenting with ways of creating songs. I have been in bands since I was a teenager so this has definitely had an influence on the way I produce. One thing I do quite often is re-amp synths, drums and even vocals through bass and guitar amps. I think it humanizes some of the sounds made completely on a computer or synthesiser. You also get to play with the sound of the room and give a natural sounding space to the sounds. 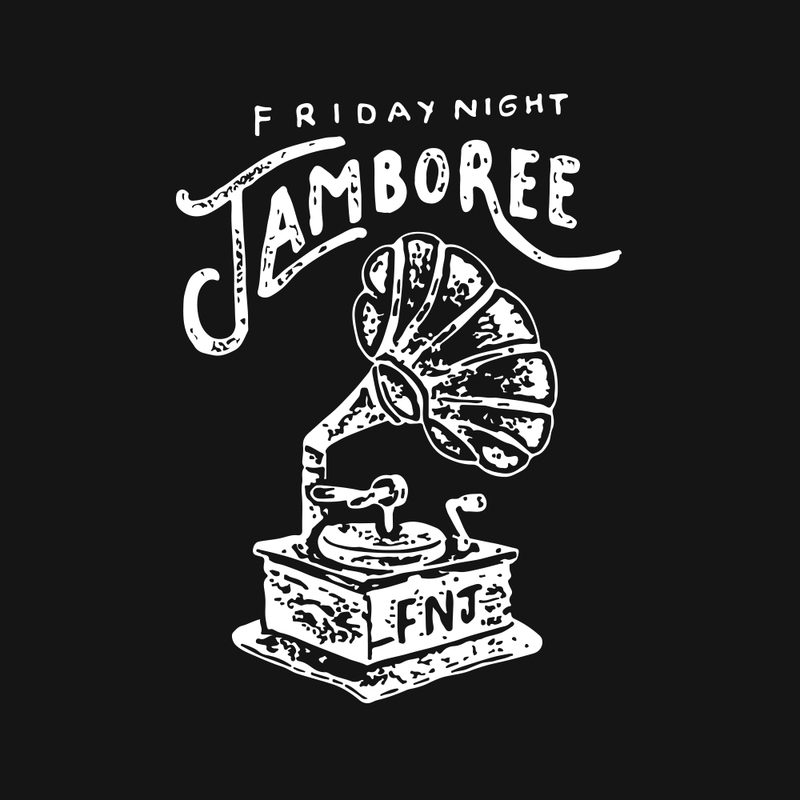 Your voice perfectly fits into the songs’ contexts as it flickers behind your production and accompanies the melancholically driven vibe. Do you see yourself as a singer songwriter as well? Thank you! Singing has taken me by surprise to be honest. I have never sung on records before this project but I ended up adding little lead melody lines with my voice thinking I would replace them with a lead line or someone else singing but they just would stick and I would have to write some lyrics and learn to sing them! The more I have done it the more I am getting comfortable with the idea of singing. I do not really see myself as a singer songwriter but it is something that I guess I will have to come to terms with! The two releases also come along with an arty video animation by Samuel J. Travis. Could you tell us something about it? I have been working with Sam Travis on the visual aspects of the project from the beginning and with these we wanted to augment some real world images and turn them into computer generated patterns. For instance the Day Old Death image is a 3D scan of the under face of a cliff on the Isle of Skye that I took while I was there during summer. It has these amazing patterns in the rock that have been created by the sea and wind. Sam took these images and turned them into a 3D scan which he was then able to manipulate. How do you put your music into practice in a live context? I always seem to be changing the setup. I will think I have it sorted out and then learn a new way of doing things that makes more sense and I will reconfigure everything. At the moment, I have a solo set up using Ableton Live to send MIDI sequences to a drum machine, bass synth and a polysynth as well as playing back samples. All this goes into a mixer with a lot of guitar pedals on the FX sends. I definitely think my music sits within a band as well as an electronic music context, so playing with live drums and guitars and bass, even horns, is something I have been experimenting with. Your touring schedule has been extremely dense in November and December with gigs in Toronto, New York City and Los Angeles to name a few. Is there any venue you would love to play at in the future and what is planned for 2018 regarding music and touring? It was amazing to play over in Canada and the USA. I had never been there before, so it was an exciting first visit! I am lucky enough to be heading back out there in April to support Unknown Mortal Orchestra. This time playing Vancouver and San Francisco which are both places I would like to visit. My favourite venue though has to be the Brudenell Social Club in Leeds. I would love to play there soon! I am really excited about releasing my debut album Loud Patterns on April 6th this year via Secretly Canadian and I am going to be playing an album launch show at Corsica Studios in London on April 12th to celebrate!